Often readers ask my why we don’t have video up of me speaking on YouTube of Facebook or Twitter? I apologize– I am a techno dinosaur and rarely have an assistant on the road with me filming. Though some brilliant footage has come out of some of my events in the last 4 years- like the Washington DC MayDay Lyme Rally at the Whitehouse, of “Living Well with Lyme Disease” Omega workshop I co teach with Dr Horowitz and Dr Francescott, and most recently 2 hours on Nantucket Cable TV, I don’t get copies ! DARN IT! Cecile Gough, in Guelph, Canada– please send me a link, BTW. Here are 2 worthy videos and I promise to take more now in 2016. This first one is from the VERY first Ticked Off Music Fest Deleware, as the keynote speaker (my fave job have to admit :)) and then below at Concord, NH Public Library, launching the 2nd edition of “Out of the Woods, Healing Lyme Disease, Bo”. I hope you enjoy and share them. When we are chronically ill, the body and mind are often mired with many converging complexities of hardships that have saddled our normal systems’ functions as well as key associated issues such as toxic overload, heavy metal accumulation, mold exposure damage and many depletions of essential minerals, vitamins, amino acids, fatty acids, trace elements, orthostatic balance and internal homeostasis. The list weaves on and as most Integrative Medicine practitioners understand, pinpointing these factors as well as helping our body and mind recalibrate to what is our own natural vitality and balance is a fundamental if we want to be well. Just taking a medication to reduce blood pressure, of inhibit joint swelling of RA or kill the microbes in a Lyme disease infection, is one key in the equation of restoring to a higher quality of health. I am delighted to interview on Lyme Light Radio, Wednesday June 10, 1pm pt/4pm et, the talented Dr Edie Resto, DC of Amara of Ojai Healing Center. Dr Edie is an expert in deep cleanse detoxification protocols, run at her facility and beautiful,healing locations around the world, to help reduce the burden the body and mind are mired in, as well as become aligned to the correct foods you should be eating when chronically ill. Please join us at LymeLigthRadio.com, WBLQ.net, TransformationTalkRadio.com for some absolutely brilliant advice on how to reclaim your body from the ravages of tick borne infections and others chronic states. 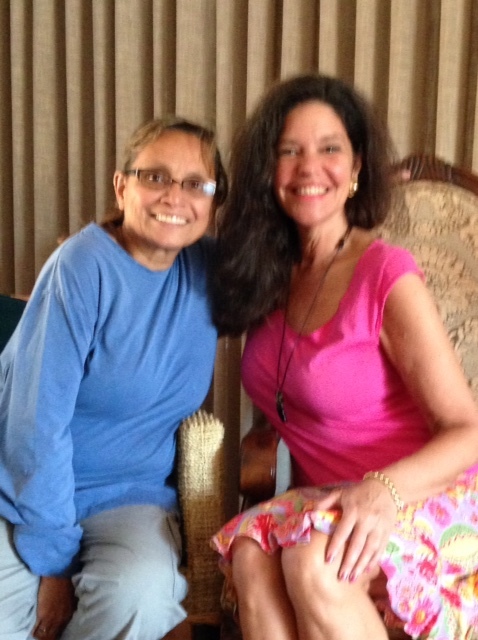 We will also visit with Judy Gabriel of Amara of Ojai Healing Center to learn more about the restorative detox and supportive Lyme disease retreats Amara is holding in Brittany, France July 2015, Ojai, CA Feb 2016 and Helena, MT June 2016. These are unique, deeply nourishing and attuned to the essential emotional and spiritual sides of the Lyme illness as well as the physical. Dr. Edie Resto D.C. is a Chiropractor and Holistic educator dedicated to forming healing partnerships with her Patients. She is a graduate of Life Chiropractic College West, Bastyr University (The largest Naturopathic Medical School in the USA), and the Institute of Psycho-Structural Balancing, where she studied a variety of massage/ body work. Dr Edie integrates many different modalities for a powerful healing experience at her Amara of Ojai Healing Center in Ojai Valley, CA. She specializes in diagnostics for often misunderstood chronic diseases, with a forte in her renowned deep cleanse Detoxification Procedures. Lyme disease is a complex illness requiring much restorative work to the damages induced. Dr Edie treats Lyme cases from all over the world. Join us for a fantastic interview with a cutting edge physician!! With true pleasure and deep respect to the often devastating and compromising states a Lyme disease or tick borne infection can induce, I am collaborating my decades of professional and 15 years of personal first hand experience with chronic Lyme, in deeply restorative healing retreat settings with the gifted healers of Amara of Ojai Healing Center. Dr Edie Resto, chiropractor and,graduate of Bastyr Naturopathic College, myself and her high caliber team successfully utilize multiple therapeutic modalities. We help assess each individual’s systemic weakness and damages induced by the infections, mold toxins, heavy metals, leaky gut, emotional injury and more via pre-program intake assessment interviews and questionnaires. Under the direction of Dr. Resto (known lovingly to all as Dr. Edie) and my body-mind-spirit understanding of this complex condition, a personalized plan is created incorporating multiple natural medicine modalities. The “Out of The Woods Lyme Retreat” healing programs are different than any other, taking into consideration the specific client, their condition, past treatments, and a strategically planned course of action. Our practitioners have studied how these reliable modalities compliment each other and how to create a perfected environment for the body to recalibrate and heal. Please visit the AmaraOjai.com website to meet your practitioner team. Once the client is on location, pre and post benchmarks are established with BioMeridian, Lens Neuro Feedback, homeopathic and energetic practitioner exams and evaluations. Our programs all include Dr Edie’s proven and truly effective deep detox dietary protocol. Each client will receive a customized restorative treatment plan incorporating a personal detox diet, acupuncture and chiropractic sessions, herbal and nutritive supplements, homeopathic remedies, Reiki and Body Resonance treatments, mud and salt baths, herbal hot wraps, detox foot baths, metaphysical energetic healing exercises, meditations and emotional and spiritual supportive renewal. This is truly the comprehensive kind of replenishing healing work so many Lyme disease cases have been ‘craving’! Our mission is to create nurturing and restorative retreats in beautiful locations that feed the body, mind and spirit. Having worked with thousands of Lyme disease and chronic illness cases, we understand the vast nature of depletion, exhaustion, systemic consequences and the true emotional and spiritual suffering the afflicted experience. True healing necessitates tending to all planes of the being in order to gain wholeness and wellness. We have three sets of retreats planned for the 2015-6 year. Join us in France this summer (July-August), Ojai, California (February 2016) or Helena Montana (June 2016). Of course you are welcome to attend all! See more details on the Amara Healing Center website. Lyme disease asks us to dig deep. Establishing an amalgam of therapies to help the body, mind and spirit to purge toxins, bad patterns, unwanted mental grooves, wayward biochemistry and self-defeating beliefs is critical to reforming an interior platform of clear, fresh terrain in order for the benefits of supplements, homeopathics, dietary changes, medicines to work, and prompt healthier new cells to form as well as a more optimal ‘mindset’ to prompt better immune, endocrine and neurological functions and other bodily functions. The ‘older’ version of focusing primarily on killing off the Lyme and co-infections microbes brings a person only ‘so far’ in their complete healing. Most chronic cases plateau once the bulk of the infectious organisms have been reduced. However, a great deal of damage and depletions have been inflicted from fighting a severe infection for months and years, as well as often sky-high degrees of toxic cellular debris and endotoxins (ammonia overload) in many cases. This is where the Out Of The Woods Retreats are special and unique. We are uniting the best of traditional medicine and complementary natural medicine with a team of practitioners to work with you. Our approach aims to restore depletions, improve energy, rid ‘brain fog’ and cognitive impairment, cleanse toxins and mend the spirit. The emotional and spiritual suffering from Lyme disease is just as intrinsic as the physical. The goal is to help you find a higher calibration of well-being. Two weeks can not encompass ‘curing’ Lyme disease and co-infections, but the retreats are able to help attendees find better balance and a clearer pathway to healing. The manor house in Brittany, France is filled with beauty and ancient aesthetics to restore the senses as well as fresh, local, delicious foods and natural elements. The Breton sunlight and hydrangeas alone feed a Lyme weary soul. You will be in walking distance to the small village of Plevenon and a short bike or car ride to the breathtaking coastline and castles. The 14 day retreat is our most comprehensive and focused on Lyme and related infection healing. All meals, housing and treatments are included in the price once you have arrived. Transportation costs are the responsibility of the client but we are happy to help coordinate transportation from Paris to the house in Brittany. Please download the FAQ document linked here. It has so much great information! Please understand that the July – August 2015 Brittany, France retreat is being offered at a significant discount, compared to the only comparable cleansing and healing retreat in the world, held in Germany. We want to bring ~YOU~ Out of The Woods in more ways than one!! We will coordinate airport and train transfers. Our center in Ojai, California was – with healing feng-shui and aligned to earth energies for optimal balance, is fragrance free and situated in the heart of the spiritually reverent Ojai Valley, treasured by the Native Americans and world acclaimed healers for its vast properties of balance. The ranch in Helena, Montana is one of the USA’s last pristine areas of sweeping vistas and offers a unique energy of release and transformation. Large enough to host 50, this lovingly maintained location is a rare experience for us to work closely with our clients and still offer our one of a kind retreat. The breath-taking skies and sunsets work miracles on tender minds and spirits. Contact us for more details and watch for updates on the AmaraOjai.com website. As a survivor of advanced neurological Lyme disease, bedridden for 3 years and completely destroyed, I am fully healed, due to the marvellous workings of the disciplines we offer in the Out Of The Woods Lyme disease programs. These two weeks of immersion, love and your ‘take home’ lifestyle management can potentially carve your pathway to recovery. Please join us by making a commitment to your new future in this enriched program. Your willingness to be an active participant in your own healing, guided by our professionally attuned understandings, make for a healing retreat of order . Dr. Edie Resto D.C. is a Chiropractor and Holistic educator dedicated to forming healing partnerships with her Patients. She is a graduate of Life Chiropractic College West; Bastyr University, the largest Naturopathic Medical School in the USA; and the Institute of Psycho-Structural Balancing, where she studied a variety of massage/ body work. Dr. Edie integrates many different modalities for a powerful healing experience. Katina I. Makris, CCH, CIH, is the popular host of the weekly talk show Lyme Light Radio With Katina. Katina has worked in natural health care since 1985. 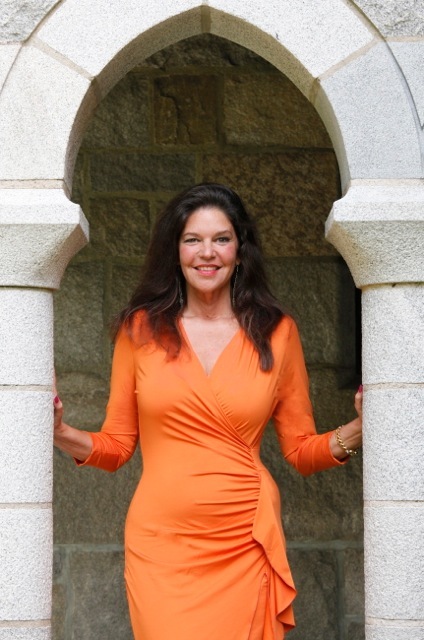 She is a former newspaper health columnist, award-winning author of Out of the Woods: Healing Lyme Disease, Body, Mind, and Spirit, past board member of the Council for Homeopathic Certification, and is the keynote speaker at the Ticked OFF Music Fest concert series. Makris’ personal experience of near death and catastrophic loss due to long-term misdiagnosed Lyme disease, coupled with her professional experience as a certified classical homeopath and certified intuitive healer, give her enormous depth and hard-earned wisdom. Dynamic, authentic, and compassionate, Makris “unites heaven and earth” as she guides people in self-help exercises that ignite the powerful mind-body healing pathway, a critical tool for overcoming chronic Lyme disease and many other illnesses.